Anime X Over, where east meet west, this is what you get. 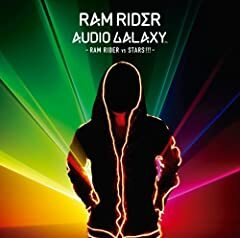 http://www.ramrider.com/ RAM RIDER is a JPOP artist. Amazing Nuts! track 2 Video:"GLASS EYE" music by RAM RIDER.